We invite you to join us this fall for a free Chakra Healing Workshop. We will engage in meditation, journaling, discussions and sharing wisdom in an atmosphere of respect and acceptance. Each session will include a self-healing exercise that we’ll learn together. Wear clothing that is comfortable for active body movement and stretches, and bring a journal to write in. Workshops will be held on Saturdays in October, November and early December, 2013, from 2-4pm. Our first meeting will be on October 12th, and we will likely skip November 30th for a Thanksgiving gathering. Please come for the Day 1 Introduction to get an overview of all chakras. You can choose to attend all subsequent sessions, or pick those that resonate most with your interests. 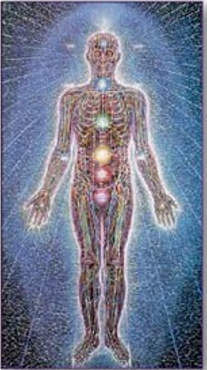 We will conclude by integrating our experiences in all seven chakras. This workshop is free. Please comment on this page to RSVP and request more details. Please let us know if you’re interested in bringing children — there will be other kids playing nearby. This workshop is part of our weekly Coyote Saturday Gathering.